Everycare provide a comprehensive and flexible range of professional nursing and homecare services throughout Dorset, including Bournemouth and Poole. Registered Nurses and Health Care Assistants are supplied to meet the temporary staffing needs of NHS Trusts, Community Hospitals, Private Hospitals, Care Homes, Private Schools, HM Prisons and Industry and for short or longer term nursing care within a client’s own home. Community Care Assistants are provided to enable people with a wide range of personal or healthcare needs to maintain their independence in their own home. We have some 140 staff of various grades, more than a third of whom have been with the company for over five years. All our staff are directly employed and managed by Everycare – we are not a recruitment agency. We maintain thorough staff selection, screening and recruitment procedures, together with comprehensive induction training for all new staff that must be satisfactorily completed prior to placement with any client. We provide a wide range of training courses to satisfy the requirements of specific client groups and encourage the development of new skills and to update and maintain existing skills, mostly delivered by our own qualified trainers. We operate a 24-hour ‘on call’ service to ensure that any urgent client or employee needs are met out of normal office hours (08:30 – 17:00 Monday to Friday). 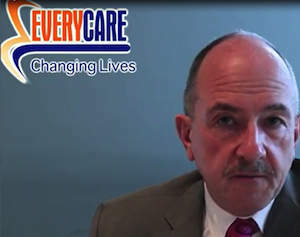 Everycare are fully compliant with the five Core Standards of the Care Quality Commission and our latest inspection report can be viewed at www.cqc.org.uk, or upon request to us. We are a BS EN ISO 9001:2008 accredited company and are members of the United Kingdom Home Care Association and the Dorset Home Care Providers Association.